The Japanese Film Festival (JFF) in Australia 2016 celebrates its 20th anniversary with a huge national tour of Canberra, Adelaide, Brisbane, Perth, Sydney and Melbourne, shining a spotlight on the best of Japanese culture from October 14th to December 4th. 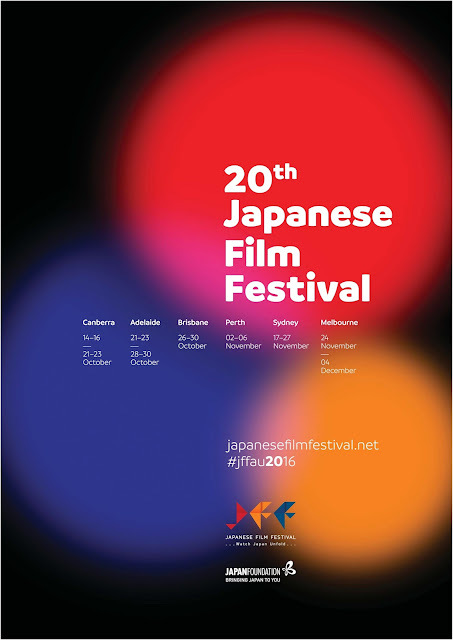 Highlights of the 2016 Festival include CREEPY, the latest film from Japan’s leading horror director Kiyoshi Kurosawa (Cure) about a former detective who investigates the case of a missing family all the while obvious of the dangers close to home, CHIHAYAFURU PART I and II based on the popular manga series of the same name, and a fascinating documentary which captures the unique culture of the world’s largest seafood market, TSUKIJI WONDERLAND. The popular JFF Classics program will also return to Sydney this year, featuring social films from post-war independent directors Tadashi Imai and Kaneto Shindo. The free program will include Imai’s BLUE MOUNTAINS, a two-part film where school teacher Yukiko, played by Setsuko Hara, attempts to introduce democracy into her classroom at a time when feudal ideologies still ran strong, and Shindo’s 1952 docudrama CHILDREN OF HIROSHIMA, a heartfelt film telling the stories of children affected by the bombing incident in World War II. JFF Program Coordinator, Margarett Cortez, said “We’ve scoured Japan for the best of both classic and modern Japanese cinema and we're thrilled to celebrate our 20th anniversary with such a diverse program. From special events and classic films from the fifties on, to works by female directors and rising indie filmmakers, there really is something for everyone in this program”. • SYDNEY CLASSICS - 8 October to 6 November 2016 at Art Gallery of NSW Free admission. 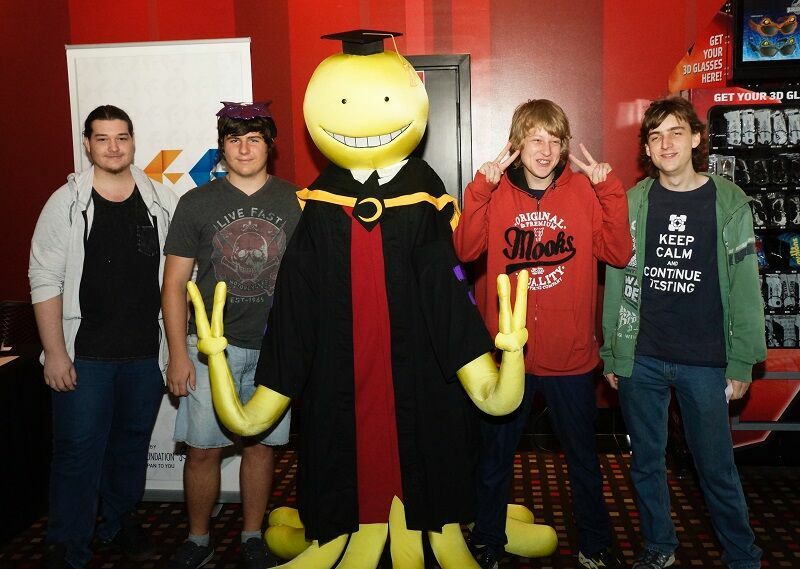 Tickets are issued at the Domain Theatre one hour before. The winner will be selected at random on November 11th and announced on this blog. Note: Please comment using a recognized profile such as Google or WordPress, etc, Anonymous comments will not be eligible. We need to be able to contact the winner to pass on their details in order for them to receive the prize. Good luck and I look forward to reading your entries. Thanks Anon! I'm sorry that you can't enter the competition. What film are you gonna make in the competition? I know this is a very easy like-able movie but this was the movie that "introduced" me to the anime world of Miyazaki. I like the spiritual aspect of the movie, the beautiful and meticulous animation, the magical bathhouse, from the parents-turned-into-pigs (this sounds wrong but...) to the adorable susuwatari. Thank you Cubie for commenting. Spirited Away (Sen to Chihiro no kamikakushi) is one of Studio Ghibli best and most popular films. I really enjoyed it as well. Good luck and stay posted to see if you win the FREE tickets. Congratulations Cubie! You are the winner of our grand prize! Thank you for entering and please contact us to claim your prize. Hello again - not sure if my earlier comment went through. Sorry if this is duplicate! We need your full name and email address to send off your prize.